A few weeks ago, we told you about some unique opportunities the Royals were using to sell tickets. Well, now the ticket office has moved from telemarketing to outright bait and switching. 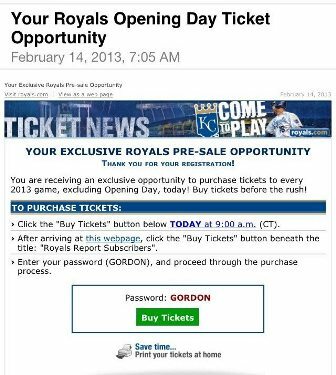 This morning, many of us were greeted in our e-mails with an EXCLUSIVE opportunity to buy Royals Opening Day tickets. At least, that’s what I read from my toilet this morning. However, once I opened the e-mail, it mentioned that the Opening Day ticket event was for all events except Opening Day. Good job, good effort, Royals. Maybe your tactics can continue to escalate and you just carjack anyone driving past the stadium on I-70. Do you guys know who we can contact with the Royals to express our outrage? Katy, when I was contacted in the telemarketing bit I wrote about a couple of weeks ago, I called back up there and asked for a supervisor and one called me back. No harm in being the squeaky wheel. As much as I rail on them, this is a group that’s responsible for handling the transaction of about 2 million tickets in a year. So, my guess is that if you call up there, be polite and say you were really put out by this deal, you’ll likely get some tickets out of it or something… just not to Opening Day. Let me know what you find out. 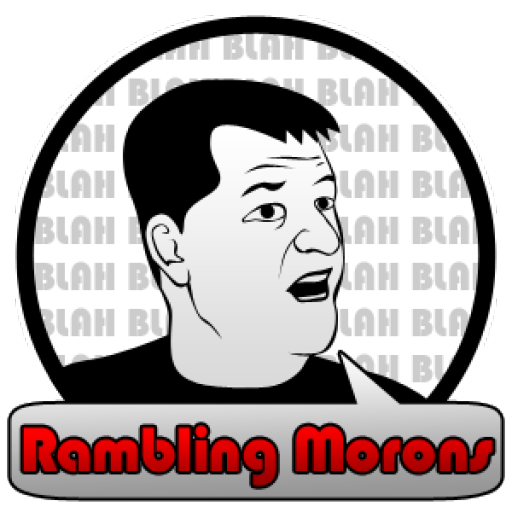 You’re welcome to post a guest blog on here about your experience. If they don’t start winning, people will probably stop driving by the stadium.